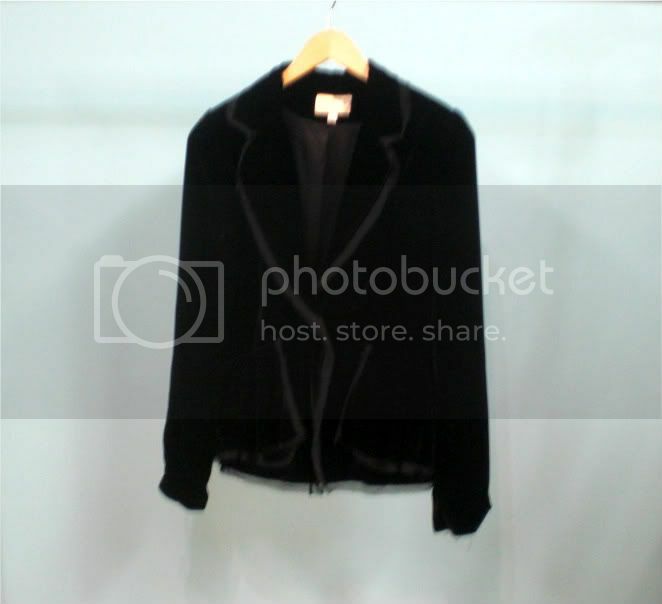 Velvet made a splash on the Fall/Winter 2010 runway shows to become one of this season's biggest trends. Designs ranged from gorgeous dresses to trousers in inky hues fit for just about any occasion. 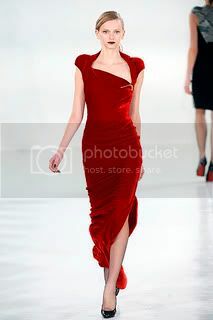 Antonio Berardi's crimson design was not only showstopping because of its color but because it featured a dramatic neckline and exquisite draping. 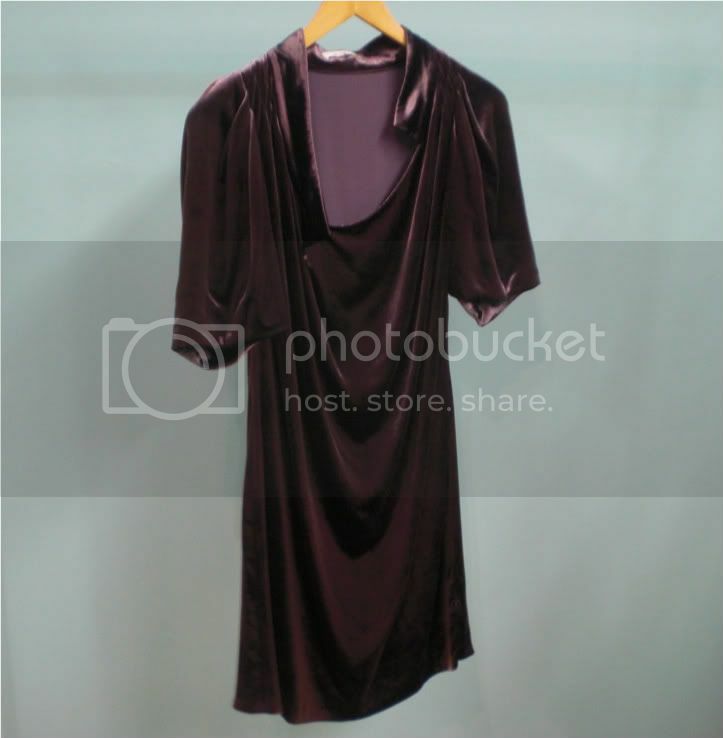 You can get the look with this Vanessa Bruno crushed velvet dress. This dress also features attention to detail with its excellent draping and asymmetrical neckline. 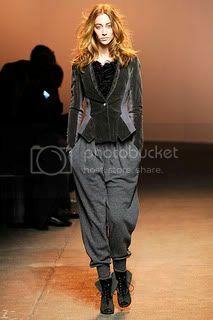 Thakoon paired this jacket with cozy pants to achieve a relaxed, yet stylish, look. You can achieve this look by pairing the Elizabeth & James jacket with jeans for a casual outfit. For a more luxe effect pair the jacket with creme wool trousers.